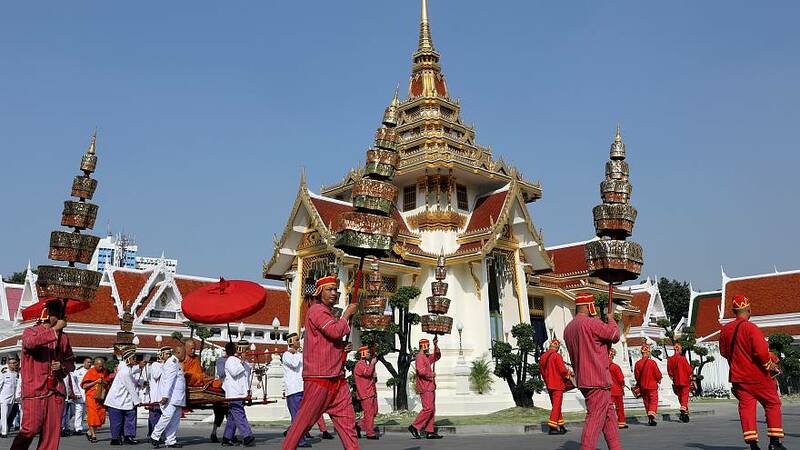 The elaborate funeral of Leicester City’s Thai owner Vichai Srivaddhanaprabha has begun at a Buddhist temple in Bangkok, with members of Thailand’s elite expected to pay tribute to the billionaire. Vichai, 60, founder of Thai duty-free giant King Power International, was killed last Saturday along with four others when his helicopter crashed outside the King Power Stadium in the English city of Leicester after a Premier League match. The funeral, closed to the public and media, was attended by Vichai's relatives, friends, and senior Thai politicians and soccer officials. 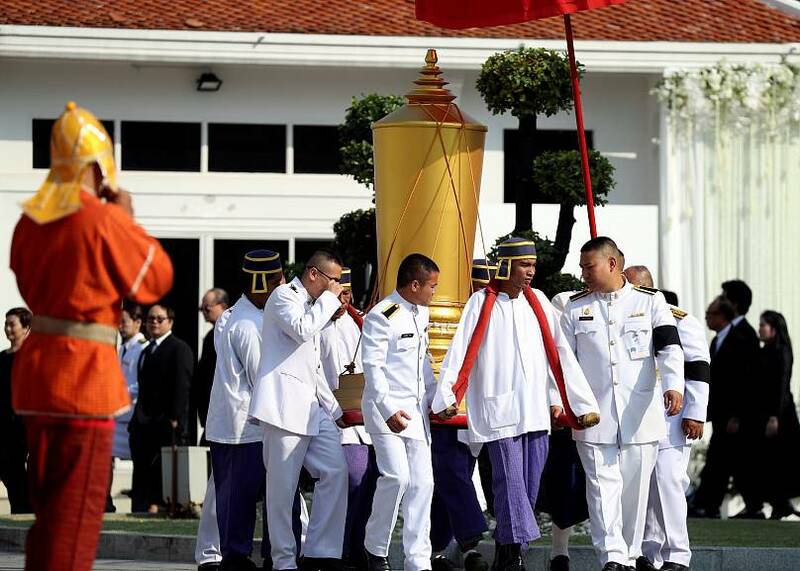 It began with a bathing ritual using royally-bestowed water and an eight-sided urn lent as an honour by King Maha Vajiralongkorn, and was followed by recitation ceremonies which will last for seven days. Kiatisuk "Zico" Senamuang, a former Thai national soccer player and coach who was also at the Leicester match, told reporters that international football world had lost an important patron. Leicester City footballer Jamie Vardy and his team mates will travel to Thailand for the funeral after Saturday's Premier League match against Cardiff City. Vichai, who bought Leicester City in 2010, was adored by fans after the club stunned the soccer world by beating odds of 5,000/1 to win the Premier League title in 2016 in what amounted to a sporting fairy tale. The Thai mogul died along with two members of his staff, the pilot and a passenger when the helicopter came down in a car park moments after taking off on Oct. 27. His body arrived in Bangkok on Friday. He had close ties to the Thai royal family, being bestowed with the last name Srivaddhanaprabha - meaning "glowing light of prosperity" - as an honour to his family in 2012. Aiyawatt Srivaddhanaprabha, nicknamed "Top", Vichai's youngest child and King Power's chief executive officer, said last week that he has "received a very big mission and legacy" from his father.